On behalf of Ashley's Angels I invite you to participate in a Barrie area fundraising motorcycle rally & ride for SickKids with many special opportunities for your motorcyclists. Ashley’s Angels, a fundraising initiative that supports SickKids Hospital Liver Transplant Research, is hosting a Motorcycle Rally on Saturday, July 14, 2012. Fuelled by an extraordinary schedule of pit stops at some of the most exciting locations in Barrie, participants will embark on a journey from one clue to the next. A ride will follow bringing participants to the “Winner’s Circle” celebration lap at the Barrie Speedway. Riders, sponsors and invited guests will mingle in an enjoyable setting, revel in memories from the day while enjoying entertainment, an auction and awards ceremony. Registration fee is waived when $100.00 in donations are raised per participant. Top Fundraiser will win a passenger thrill ride, in a race car, at the Barrie Speedway during intermission redeemed on event night only (a signed waiver for this prize is required). Second and Third Top Fundraisers will be offered to join in Barrie Speedway's opening ceremony around the track redeemed on event night only (a signed waiver for this prize is required). Our goal is to raise $10,000 to support liver transplant research at a world class hospital. We believe every child deserves to be healthy – and SickKids, as a trusted innovator in children’s health, is the engine for making this happen. Please join Ashley’s Angels Motorcycle Ride and make a difference for liver transplant recipients. 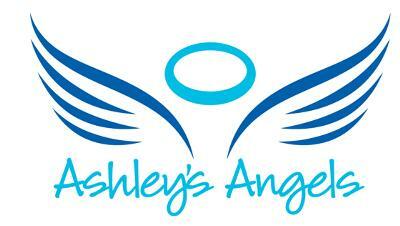 If you have any questions or need further information please email info@AshleysAngels.ca, or phone (705) 440-7077. Thank you for your time and consideration!